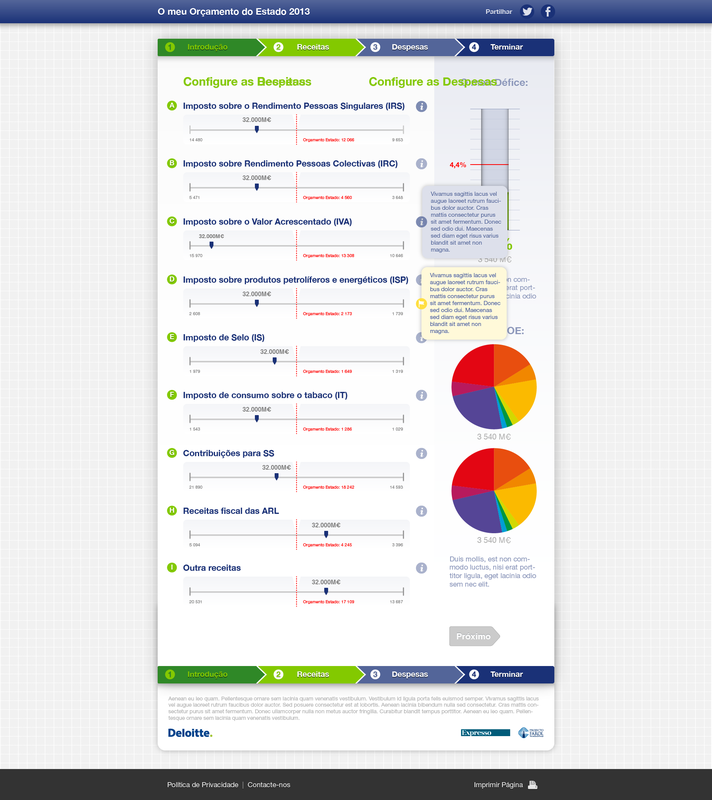 Webapp for Deloitte. that allowed people to simulate the portuguese government budget. 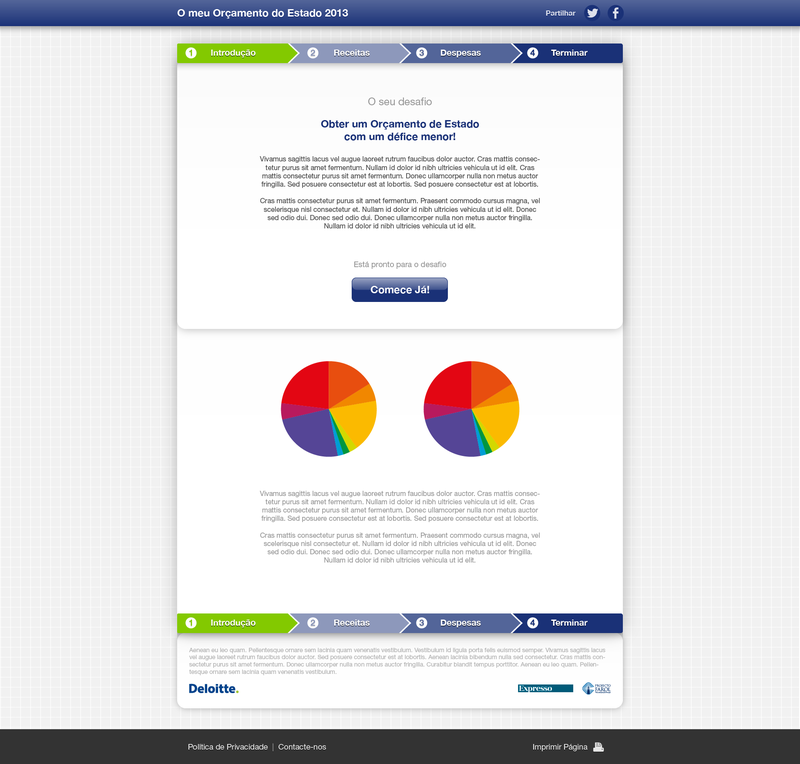 With the aim to help the Portuguese to better know the accounts of the State, the Projecto Farol and the Expresso newspaper, with support from Deloitte, created a streamlined budget simulator where each citizen can make their own proposed State Budget for 2013 and compare it with the Government’s proposal. The user can make the changes in revenue and expense as he deems appropriate and evaluate the consequences of his actions.